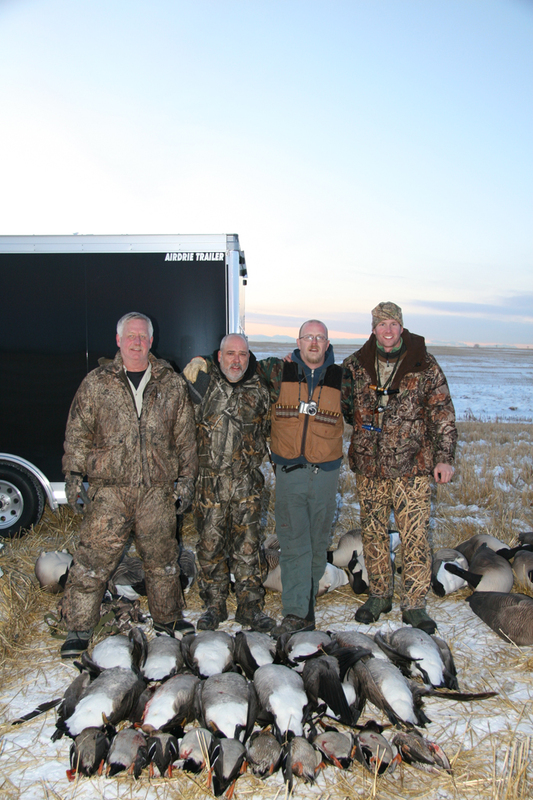 Book a Corporate team building goose and duck hunting event for your business, or entertain clients that you bring in to Alberta for conferences. 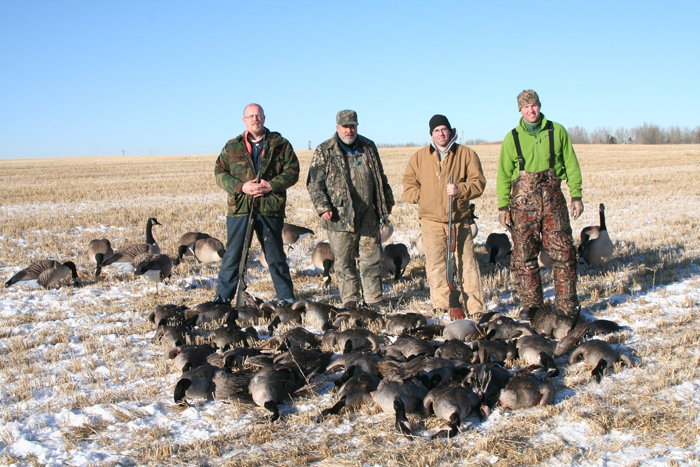 We can accomodate up to 14 hunters per day, and can provide shotguns, ammunition, and licenses. 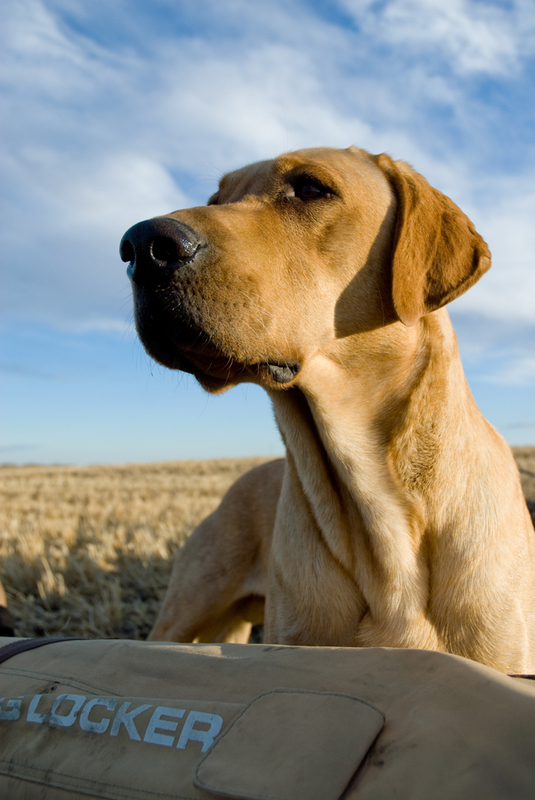 Clients do not need to have a firearem license, or hunting certification. 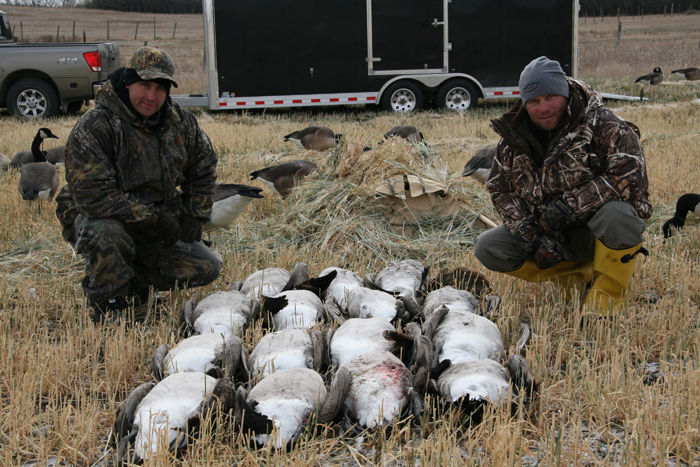 Hunting with Massig's Migrators allows you to go on a 3-Day hunt, and only be gone for 3.5 days. 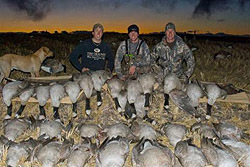 Most Northern Alberta or Saskatchewan outfits require clients to fly into the closest International Airport, and arrange transportation to the hunting grounds, which can take up to 6 hours. 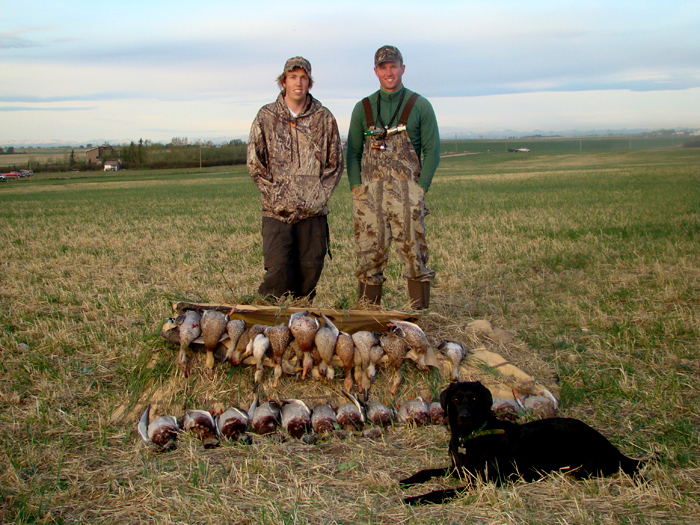 At Massig's Migrators we hunt ducks and geese within 30 minutes of the Calgary City Limits, and the Calgary International Airport. You can stay in basic hotels or luxury hotels, eat at a fast food joint, pub, or at a number of restaurants ranked among the best in Canada. 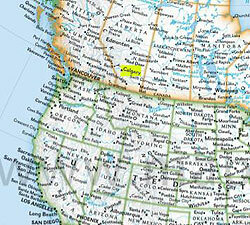 Calgary has has a lot of nightlife, including casinos, comedy clubs, and bars. Many of our clients from the USA fly in Thursday after work, hunt Friday, Saturday, Sunday, and fly home for work on Monday! 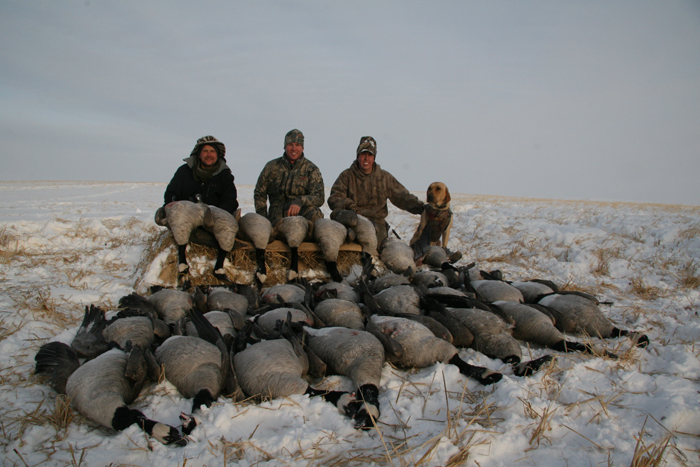 That kind of convenience, combined with the fact that we use only the best equipment and that the hunting is World Class, makes Massig's Migrators the premier Waterfowl service in Alberta. 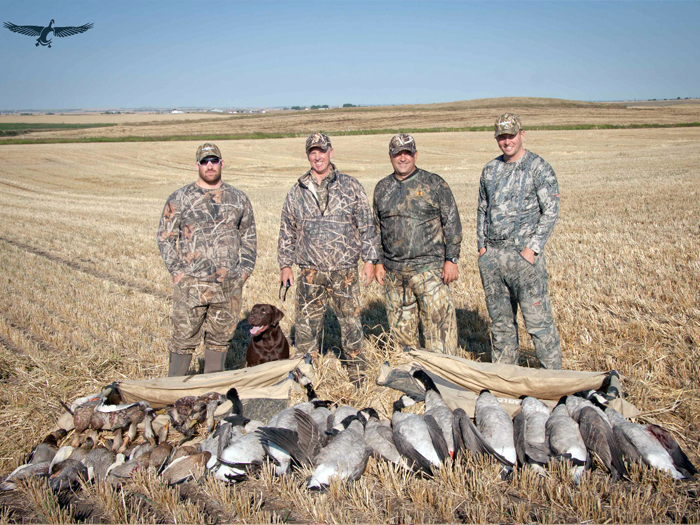 Massig's Migrators specializes in 1 to 6 day goose and duck hunting trips in an area that boasts the longest season in Alberta, with tens of thousands of birds around from opening day until the end of the season. 90% of our hunting is within a 30 minute drive from the Calgary City Limits and the Calgary International Airport so you can minimize your travel time - and maximize your hunting time! 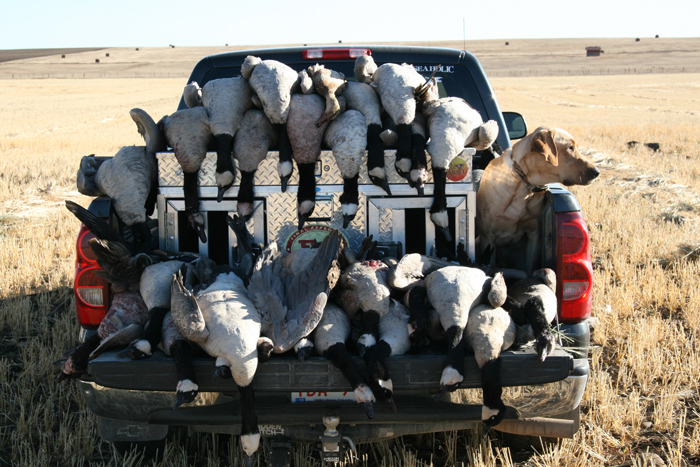 Our liberal limits are 8 dark geese, 20 white geese, and 8 ducks of which 4 can be pintails! 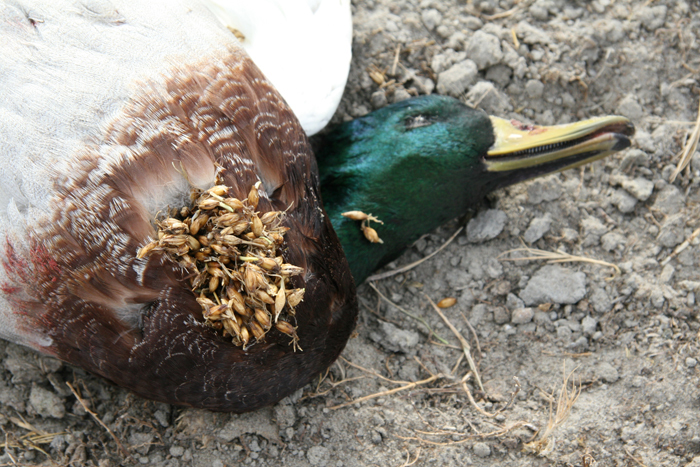 Early September finds us hunting in warm weather, with "opening day" lasting for about 3 weeks due to the lack of hunting pressure on local ducks and geese. There are hundreds of pothole lakes and sloughs, and miles of irrigation canals where local birds live. As fall starts to cool northern birds begin migrating south, with the Bow River in Calgary and the Lake at Chestermere being major staging areas. 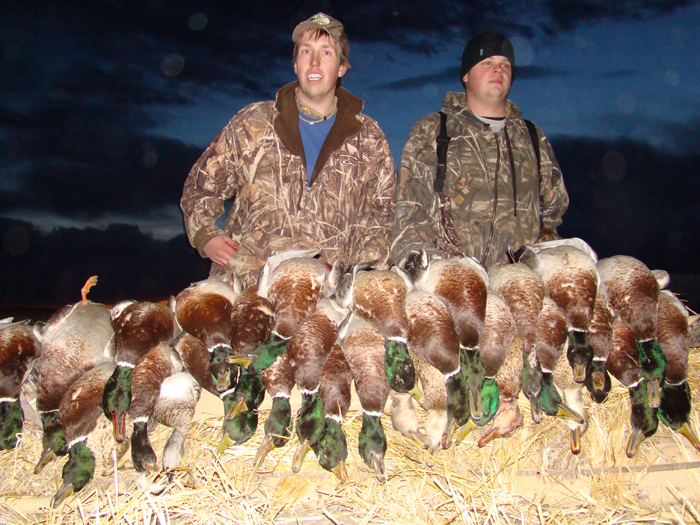 October sees a continuation of warm hunting and tons of both ducks and geese. The ducks are coloured up enabling us to start shooting our drake limits. 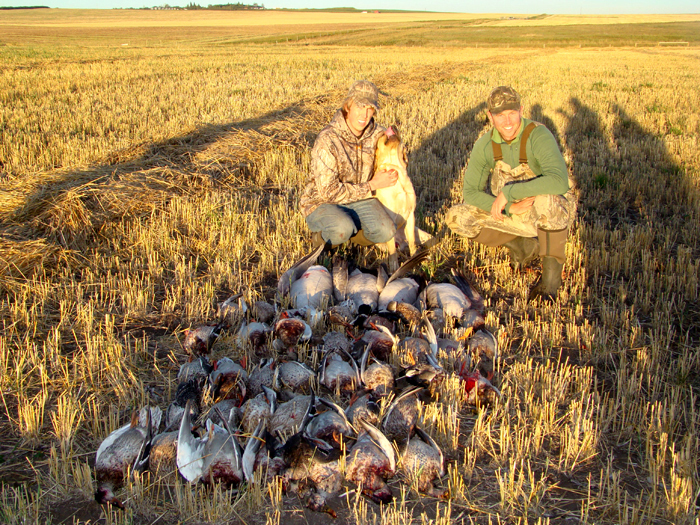 By mid October, hunting in northern Alberta is finished as ours continues in full swing. 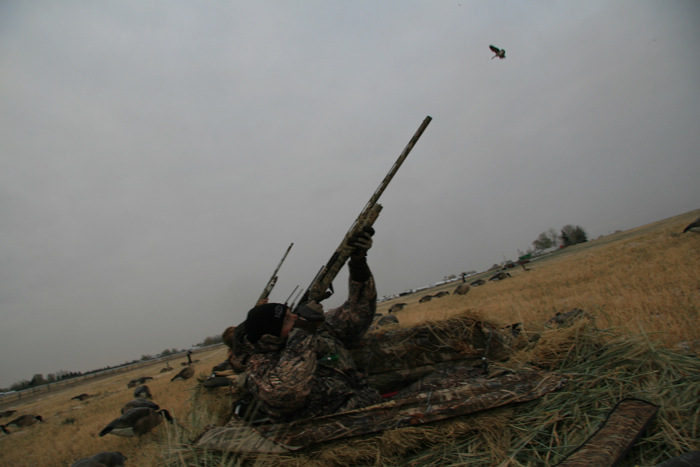 Birds numbers continue to build, as birds migrate and hunting continues to be amazing for both ducks and geese. As November ends and December begins, temperatures drop and snow starts to fall. Birds fly later and later in the morning, and shuffle from field to field for most of the day. 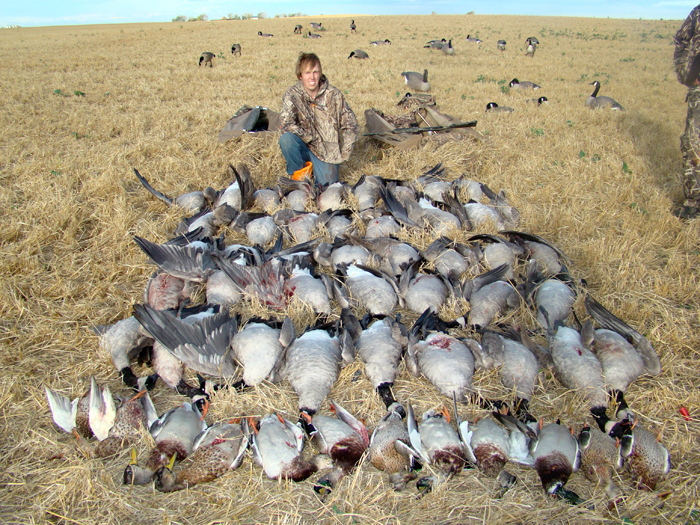 The reason for this never-ending supply of birds through late season is thanks to both nature and man. The Bow River runs through Calgary, and in Calgary, the river doesn't freeze, so birds have a place to roost all winter long. Calgary is located right next to the Rocky Mountains, where warm Chinook winds pour over the fields melting snow and exposing an unlimited food source. At this point in the season, all the local lakes are frozen, and the birds live exclusively on the river and feed less than a 15 minute drive from the city limits - and the International Airport. December finishes off our season, and we still shoot limits in about an hour - right until closing day. Temperatures can be cold at this time of the year, but we have heated blind inserts, and the birds fly late so the sun is up and things have warmed up. 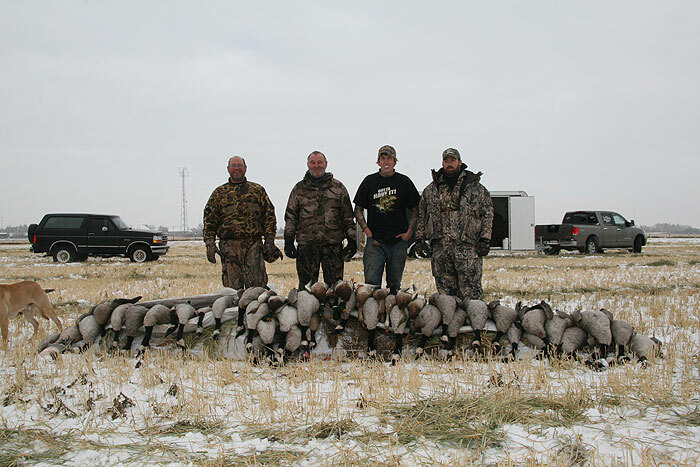 We will pre set the decoys so you can stay warm, and come out for the fun! At this time of year we offer only one shoot a day, usually for geese, occasionally for ducks, for a reduced price. 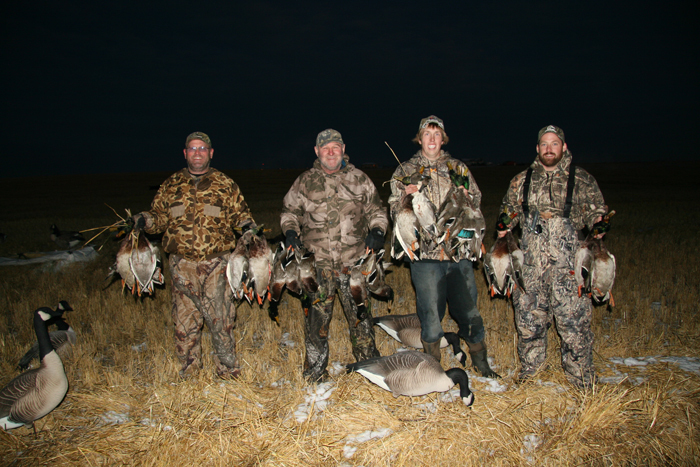 At Massig's Migrators we pride ourselves on giving you the guided goose and duck hunting trip of a lifetime. 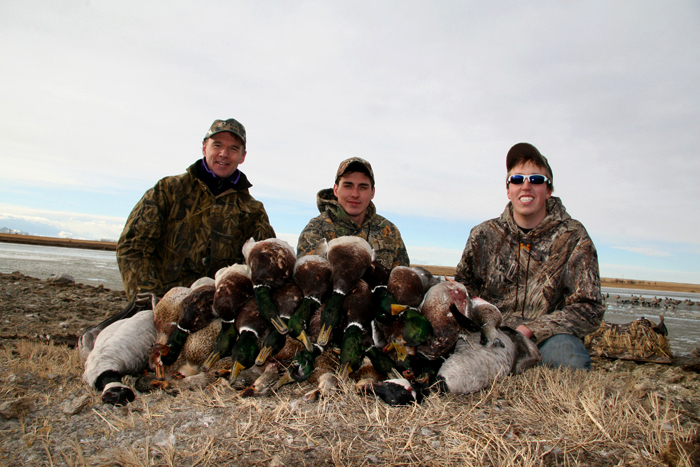 We can hunt over 500 sections and have access to a variety of ponds. 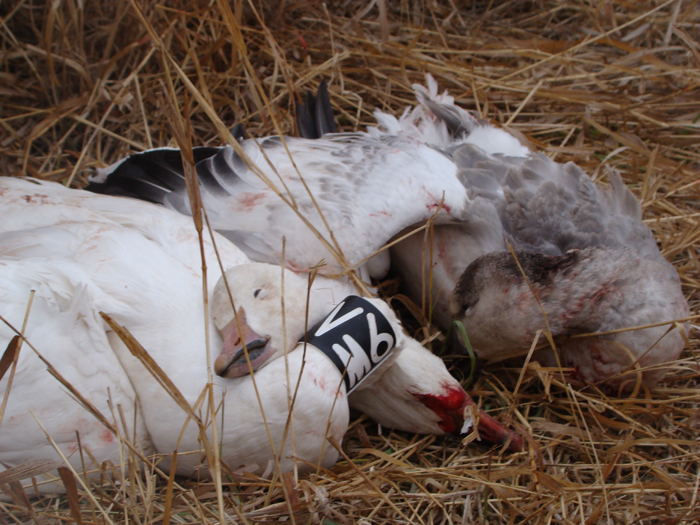 We have professional guides and use only the best equipment and are on the pro staff for Dave Smith Decoys, Foiles Migrator's calls, Hevishot, and Final Approach blinds. 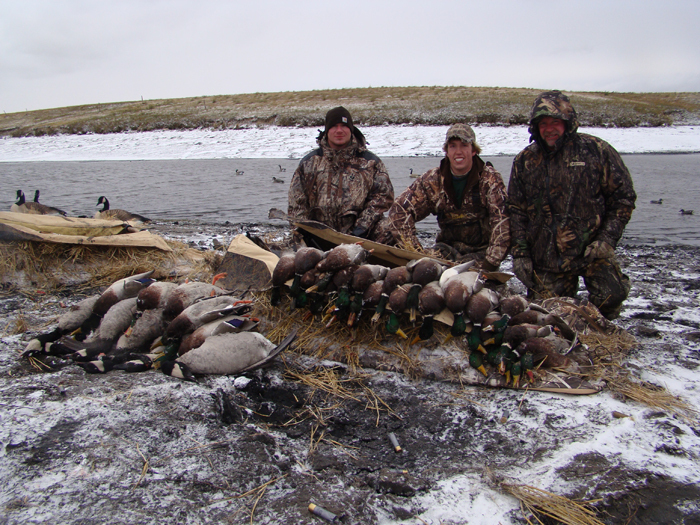 We offer a variety of 1, 3, and 6 day waterfowl hunts, and offer corporate team building events accomodating up to 14 people. Many people like to come up in September and October to combine their hunt with a fly fishing float trip down the World Famous Bow River, or go on a November Cast and Blast! Whether it's field hunting Giant Canadian Honkers locked up right in your face, shooting drake limits of greenheads and pintails, or floating the world famous Bow River for a Cast and Blast; Massig's Migrators has an Alberta Adventure for you that you will never forget! All this - within 30 minutes of an International Airport! 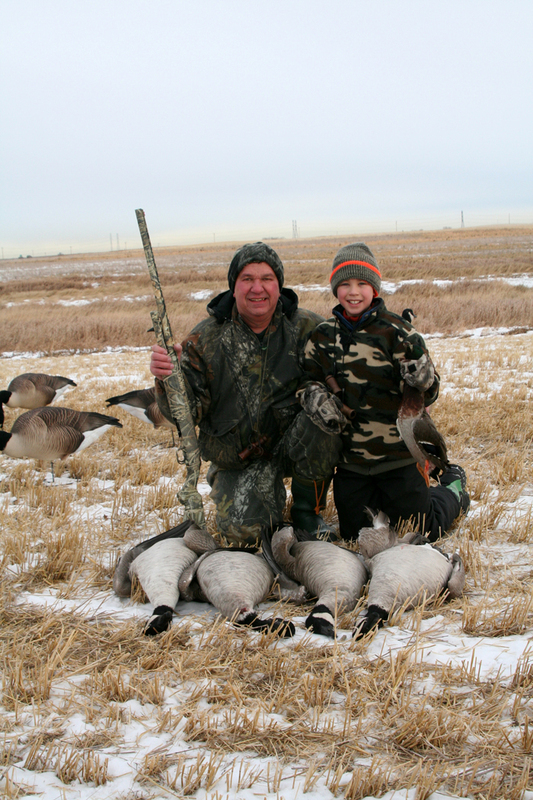 A World Class Goose and Duck Hunt in Calgary with Alberta's Premier Watefowl Outfitter is the perfect gift for both novice and experienced hunters! Web site design and development by State of the Arts Inc.